All accepted papers will be published in a SCOPUS-Indexed Journal. Dato' Seri Wong Siew Hai has 29 years of working experience in the electronics industry. He retired from Intel after 27 years of service. His last position with Intel was Vice President of Technology and Manufacturing Group (TMG) and General Manager of Assembly and Test Manufacturing (ATM), responsible for all assembly test factories worldwide. He also served as the Vice President and Managing Director of Dell's Asia Pacific Customer Centre for approximately 2 years. Currently, Dato' Seri Wong is involved in the electronics industry as the Chairman of MAEI (Malaysian American Electronics Industry) and Chairman of the E&E Productivity Nexus. He is a Board member of the Penang Science Cluster and Penang Tech Centre . With the support of the Penang State Government, he pioneered the set up of Tech Dome Penang, the first science discovery centre in Penang, to inspire children and students to pursue science and engineering. Currently, he is a coach in the CGP (Cradle Growth Program). He served as a member of the Board of Directors of the Malaysian External Trade Development Corporation (MATRADE), under the Ministry of International Trade and Industry (MITI) for 12 years and was Chair of its audit committee. 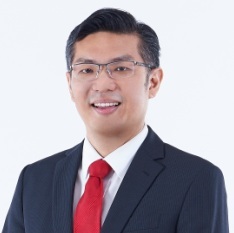 In education, Dato' Seri Wong is a member of the Board of Governor of KDU and was recently appointed as an Adjunct Professor of Multimedia University (MMU) and as a trustee of Yayasan Universiti Multitmedia (YUM). He serves as a member of the Management Board of the Institute for Research and Innovation of Wawasan Open University since 2011. From 2001 to 2006, he was a member of the Board of Directors of Kolej Universiti Technologi Tun Hussein Onn. In charity, he is a Vice President of the Penang Welfare Association for Mentally Retarded Children and Charter President of Kiwanis Club of Penang Central. Professor Richard De La Rue is an Emeritus Professor at the University of Glasgow. His recent research has been particularly concerned with photonic crystal and photonic wire structures, waveguide micro-cavities, silicon photonics and metamaterials. This work has evolved to include research on compact lasers, photonic-crystal LEDs and the applications of photonic crystal structures and metamaterial surfaces to bio-medical and organic sensing. He has published more than 270 articles as papers in journals and magazines and book chapters. He has also given a large number of conference presentations, many of which were invited, keynote or plenary presentations. His H-index, according to Google Scholar, is currently 57. He was elected Fellow of the European Optical Society (EOS), Fellow of the IEEE (FIEEE), Fellow of the OSA , Fellow of the Royal Academy of Engineering (FREng) , Fellow of the Royal Society of Edinburgh and Fellow of the Institution of Engineering and Technology. Professor Asoke K. Nandi received the PhD degree in Physics from the University of Cambridge (Trinity College). He held academic positions in several universities, including Oxford, Imperial College London, Strathclyde, and Liverpool as well as Finland Distinguished Professorship. In 2013 he moved to Brunel University London. In 1983 Professor Nandi co-discovered the three fundamental particles known as W+, W- and Z0, providing the evidence for the unification of the electromagnetic and weak forces, for which the Nobel Committee for Physics in 1984 awarded the prize to two of his team leaders for their decisive contributions. His current research interests lie in signal processing and machine learning, with applications to functional magnetic resonance data, gene expression data, communications, and biomedical data. He made fundamental theoretical and algorithmic contributions to many aspects of signal processing and machine learning. He has much expertise in "Big Data". 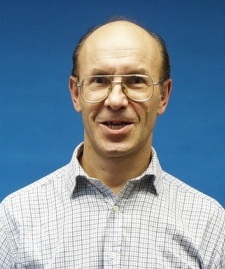 Professor Nandi has authored over 580 technical publications, including 230 journal papers as well as four books, entitled Automatic Modulation Classification: Principles, Algorithms and Applications (Wiley, 2015), Integrative Cluster Analysis in Bioinformatics (Wiley, 2015), Blind Estimation Using Higher-Order Statistics (Springer, 1999), and Automatic Modulation Recognition of Communications Signals (Springer, 1996). The h-index of his publications is 70 (Google Scholar) and ERDOS number is 2. Professor Nandi is a Fellow of the Royal Academy of Engineering and a Fellow of six other institutions including the IEEE. He received many awards, including the IEEE Heinrich Hertz Award in 2012, the Glory of Bengal Award for his outstanding achievements in scientific research in 2010, the Water Arbitration Prize of the Institution of Mechanical Engineers in 1999, and the Mountbatten Premium of the Institution of Electrical Engineers in 1998. Professor Nandi is an IEEE Distinguished Lecturer (EMBS, 2018-2019). Professor M. L. D. Wong received his BEng(Hons) in Electronics and Communication Engineering and PhD in Signal Processing from the Department of Electrical Engineering and Electronics, University of Liverpool, Liverpool, UK. In 2004, Professor Wong joined the School of Engineering, Swinburne University of Technology Sarawak Campus as a Lecturer. Subsequently, he was appointed a Senior Lecturer in 2007 at the same institution. From 2011 to mid 2012, he was an Associate Professor at Xi’an Jiaotong Liverpool University, Suzhou, China. In June 2012, he was appointed as an Associate Professor and Acting Dean for Faculty of Engineering, Computing and Science at Swinburne Sarawak. Subsequently, he was appointed as the full Dean in August 2013. Since October 2016, Professor Wong moved to Heriot-Watt University Malaysia to take up the role of Deputy Provost. 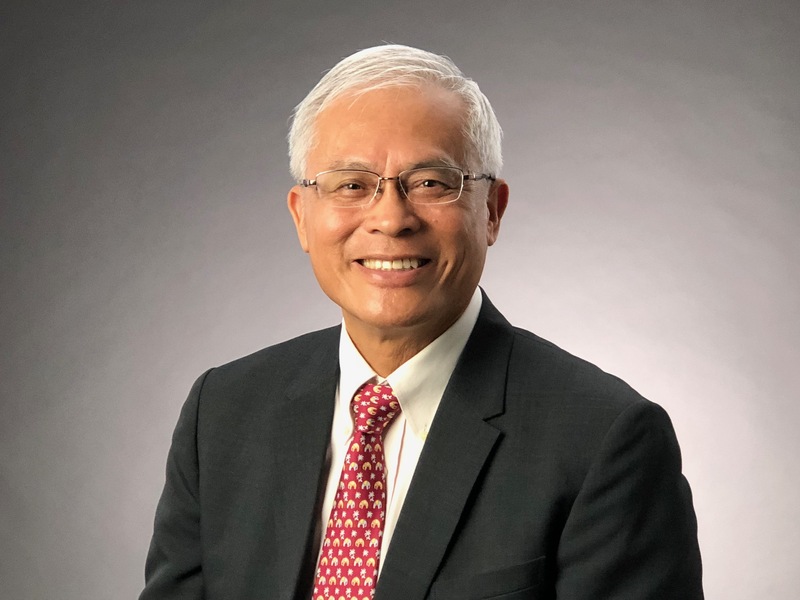 Professor Wong is also a Chartered Engineer registered with the Engineering Council UK; a Fellow of the IET; a Fellow and Chartered Professional Engineer with IEAust and a Senior Member of the IEEE. In 2014, he was electecd as the inaugural treasurer of the IEEE CIS Malaysia Chapter and subsequently the vice-chair in 2015. In 2016, he was elected as the inaugural chair for IEEE Sarawak Subsection. Mdm. Hazami Habib is currently serving as the Chief Executive Officer of the Academy of Sciences Malaysia (ASM), a 'Think Tank' body focusing on science, technology & innovation policy and strategy projects. She leads the Management of the Academy that comprise of amount 500 STI experts in Malaysia. She joined ASM in 1996. In her years at the Academy, she has involved in several national and international level studies and programmes such as the National Astronaut Programme, National Science Challenge, ASEAN, and Asia-Pacific Economic Cooperation (APEC) Meetings related to STI, 1st & 2nd Science and Technology National Policy and others. Among ASM Flagship Studies that she oversees are Mega Science Framework Study, Foresight Study on Malaysia 2050, Science Education Policy, Science Outlook, and others. 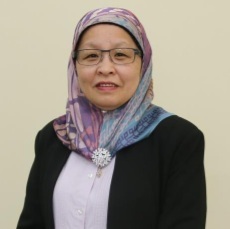 She also has been appointed as the member Board of Trustee of the Yayasan Pintar Negara (YPN) that focused on designing learning modules for gifted children.Regionally, she has represented Malaysia in few talks and forums, including the China-ASEAN Technology Transfer and STI Cooperation Forum, Nanning, China; ASEAN Talent Mobility Workshop, Thailand; and Asian Innovation Forum, Korea. She is the Chair of Science, Technology and Innovation Committee in APEC Policy Partnership on Science, Technology and Innovation (2017-2018), and the Secretary for Malaysia in IIASA Council (2014-to date). Her area of interest and expertise is on STEM Talent Development, Policies, Strategic Science Communication, Foresight, Science Diplomacy, and Governance.